The SalvaDore (RPS) Hospital Expert Advisory Group has existed since 2015. 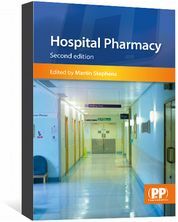 It serves as a consultative group to the boards of the RPS, and acts as a source of expertise and advice on hospital practice issues that affect pharmacy practice and the public. The group provides evidenced-based leadership and opinion, which informs decisions to RPS policy, and advises the government and other organisations. For the purpose of this group, hospital practice includes providers of pharmacy services in (or to) acute, mental health, private, community services, prison, hospice and ambulance settings. It also covers areas of practice where hospital pharmacy expertise and influence is required to improve care — for example, whole health economy solutions to medicines optimisation challenges. Over the past three years, the group has supported the RPS in responding to numerous consultations and requests for endorsement of guidance and has provided expertise to the many pharmacy and non-pharmacy organisations that routinely the RPS to ask for representation on working groups. The group has supported the development of RPS standards and guidance, including the (2018), the (2017), and the (2017). The group is also supporting the current review of guidance for the and the development of standard definitions for metrics to help meaningful benchmarking across organisations. We would also like to thank the outgoing chair of the group, Rob Duncombe (chief pharmacist and director of pharmacy, the Christie NHS Foundation Trust), and welcome Jatinder Harchowal (chief pharmacist, the Royal Marsden NHS Foundation Trust), who will chair the group from April 2018. More details about the work for the Hospital Expert Advisory Group can be found on the RPS website at: . Summary notes of all meetings are published on the website, and the group welcomes observers. Anyone interested in hearing more about the work of the group can Catherine Picton, professional secretary to the RPS Hospital Expert Advisory Group, at [email protected]. 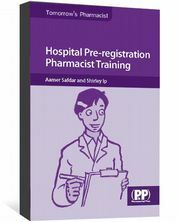 Covers pharmacy practice in hospitals, and discusses the range of services provided.